WordCamp Central | WordCamp is a conference that focuses on everything WordPress. The site is using two themes, one child and one parent. The child theme is based on the parent and often custom to the site. 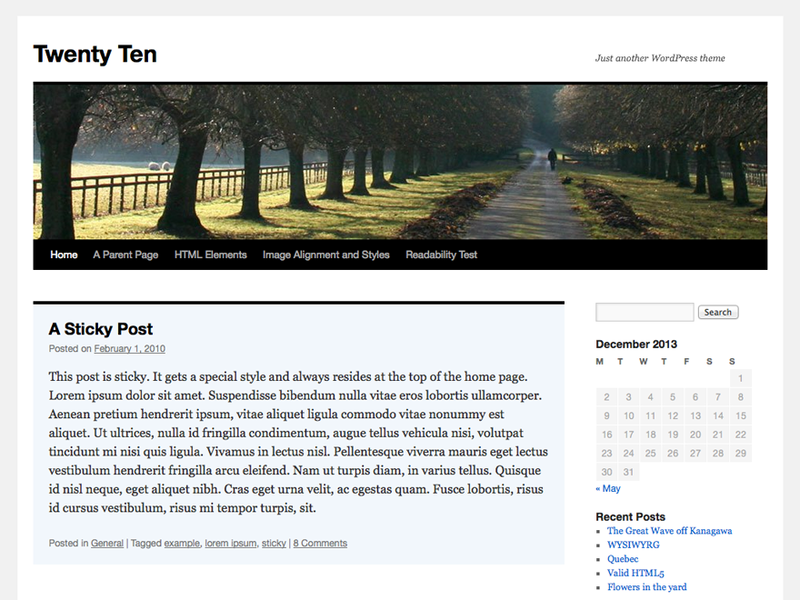 The parent theme is Twenty Ten theme by the WordPress team . The 2010 theme for WordPress is stylish, customizable, simple, and readable -- make it yours with a custom menu, header image, and background. Twenty Ten supports six widgetized areas (two in the sidebar, four in the footer) and featured images (thumbnails for gallery posts and custom header images for posts and pages). It includes stylesheets for print and the admin Visual Editor, special styles for posts in the "Asides" and "Gallery" categories, and has an optional one-column page template that removes the sidebar. 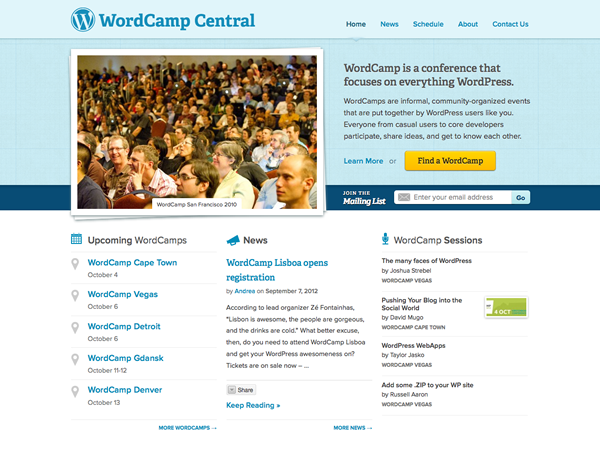 The 2012 redesigned theme for WordCamp Central. Based on Twenty Ten. Last updated 25 April, 2017. 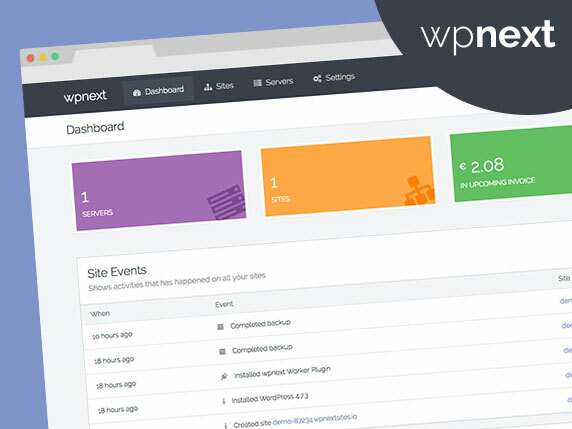 We found 2 theme and 4 active plugins on this site. Link to this page.